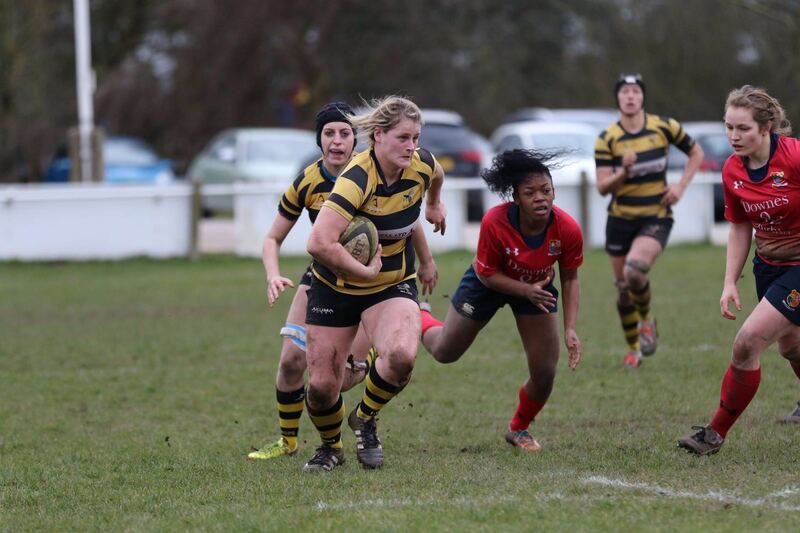 Bianca ‘Bee’ Dawson has gone from “having no idea” how to play rugby to representing England at the Six Nations. She only joined the national team setup at the end of 2015, but within six months was called up to earn her first senior cap. When she’s not propping up the England and Wasps Ladies front row, she’s overseeing soldier behaviour as a sergeant in the army. How did you get into the army? I got straight into it after school. I wanted something diverse. My family is military so I was leaning towards that way. My dad was in the army, my big brother is in the army and my little brother is in the Airforce. I just wanted something that was going to be different everyday. They told me they’d show me how to ride a police motorbike so I thought: yep, I’m in! [laughs]. I never got to ride a police motorbike though! What does your rank of sergeant mean? It’s a senior NCO [Non Commissioned Office] position. You get your Private and Lance Corporal, and they’re all junior NCOs – they’re basically soldiers. And then sergeants are the first step up for senior NCOs. What is a typical day like for you as a sergeant? Rather than just being a soldier you get to be a bit more of a leader and look after people. I’m in the Royal Military Police – we’re the same as civilian police but our customers are the military, so we just deal with soldiers. So if soldiers commit a crime then we deal with it and investigate it. We have our own special information branch which deals with the more serious crimes, like the CID do in “Civi-ville” [Bee’s name for us folk who live the civilian life outside of the military). Does it require you to carry a gun? In Germany we carry pistols, but generally in the UK we don’t. We could be based all over the world – Germany, Kenya, Canada, Cyprus – I was based in Germany for four years. So where ever there’s soldiers, there’s military police making sure they’re not having too much fun [laughs]. You served in Afghanistan, what was that experience like? I had two fairly good tours of Afghan. The type of job I was in was more like general policing duties, based at Kandahar Airfield. I went to (Camp) Bastion [the British military’s former headquarters in Afghanistan] for a few investigations every now and again. But yeh, I was in quite a safe location as far as it goes, so not really out on the ground. Yeah, they give you a lot of time to go and play sports and try new sports. You get to go on some amazing sports tours! 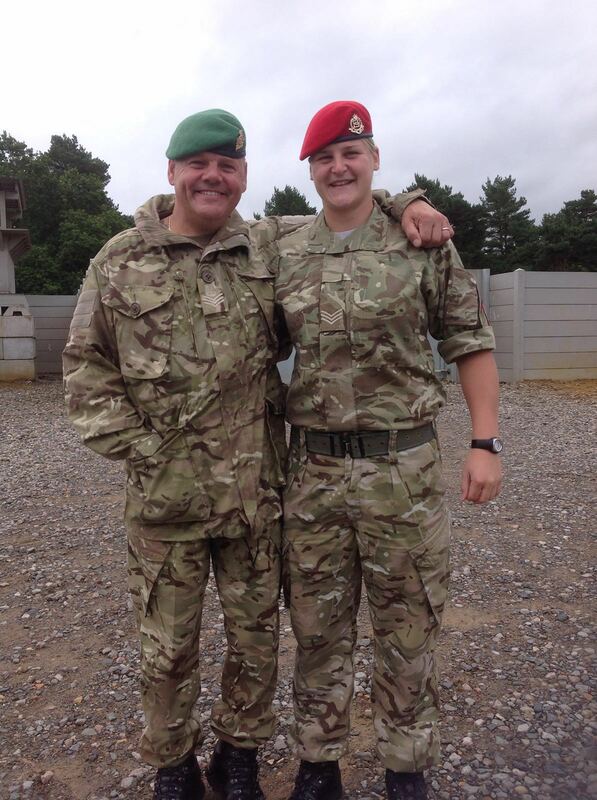 As for rugby, I gave it a go before I joined the army. In my hometown in Driffield [Yorkshire] you get the same girls doing all the sports. I played hockey and football with the same group of people going to all the different teams, so got dragged along to rugby to give it a go. And then didn’t do it again for another… I must have been 24 or 25 when I tried it again, and I was 16 [when I first tried rugby]. Then I joined the army, played a bit of hockey and carried on playing football, and then I thought: you know what, I’ll give it another go. I didn’t look back from there. Yeah it’s been quite a steep learning curve the past four seasons. From having no idea, to trying to hold your own. Initially I was a footballer so they said: “You can be a number 10, you just need to kick the ball.” So I was like: OK! Anytime I got the ball I’d pretty much just boot it. I didn’t know why or where. That was as far as it went when I was 16 years old. And then when I turned up to core rugby [in the army 8 or 9 years later] to give it a go again they sort of looked at me and said: “Yep, you’re a prop.” They look at the body shape of a person and find a position for them in the team. I had absolutely no idea about scrummaging. I played my first game and hadn’t even hit a scrum machine. I was chucked into the match and went from there. I definitely still don’t understand all the rules! You mention body image there… Rugby players are built for purpose and often don’t fit in with the socially accepted view of what a woman should look like. Have you ever experienced any negativity surrounding your body image? No. You’ve got to embrace it, haven’t you? If you want to get anywhere and you wanna achieve something in your sport, it doesn’t really matter what other people think about your body shape. For you your body shape is what’s needed to get the job done. It’s ever changing anyway. The fitter you get and the more training you do, your body is constantly changing. To me, it’s never mattered and I’ve never had any problems with it. Going back to your first England senior call up for the Six Nations back in February, what did you take away from that experience? So much! It was all a bit of a whirlwind to be honest, from start to finish. Training with the team has been incredible! There’s some absolutely amazing players and they’ve been really welcoming. Everyone is there to help you along. They make it very easy to come in as a newbie. I had a review recently, and seeing the change in myself from the start of the competition to the end of the competition – how I look at a game now – in a short period of time, I’ve been able to grow a lot as a player due to the support you get around you from the staff and the players. Do you remember what you were thinking as you took your first step on the field for your first cap? When they said I was going on I think my legs turned to absolute lead. I was thinking: right, I just want to touch the ball and settle into it. I had an absolutely manic first five minutes. I think the first thing I did was knock the ball on, just because I was that eager to get involved and get into it. I felt so proud and so lucky to be there. I thought: you know what, just take your chances and do your best. You can’t do much more that that. I was lucky enough to play four of the five games [of the Six Nations], unfortunately I didn’t get on in the last game against France. The Olympics are coming up, do you play rugby sevens as well? No! [laughs] I’ve never played a game of sevens in my life. But we’re going on an army rugby tour to America and I’ve been told there’s a bit of sevens involved. You never know, with the rapid progress you’ve made in just a few months you might get a call up to the Olympics! Are there any similarities between being in the army and playing rugby? Definitely. The type of characteristics that would make you a good rugby player or a good teammate are characteristics that you would have in the army as a soldier – working as a team and being quite a robust character. The core values as a rugby player – working together and giving everything for that person that’s alongside you goes with the whole army ethos. You give everything for your guys that you’re deployed with. I imagine the physicality of being in the army compliments rugby, how bad is army training? Well we have general fitness tests that involve running, press ups and sit ups, that sort of thing. And then we have combat fitness training with weight on your back, where you’re in your boots and with your weapon, like a march and a run as a squad. It’s eight miles in two hours so you have a set pace. You need to keep on top of your game because they can spring it on you any minute, so generally you need to keep quite fit. Your squad march will be once a year and then your personal fitness assessment like sit ups and stuff like that, that’s twice a year. How have you funded your rugby career, do you have a sponsor? It’s all been self-funded. I’m based in Portsmouth. When I first moved to Wasps Ladies [in west London] I traded in my car for a diesel – something that’s gonna be a bit better on the fuel! Work have started giving me some support recently so they’ve given me some money from our regimental fund to pay back my subs fees for the past two seasons. And they’ve given me some money for this season’s subs as well, which is really amazing, not something I expected but I’m happy they did. So you’re travelling from Portsmouth to west London to play! How many times a week? Wasps are pretty good with me with training so they let me go once a week. And there’s games pretty much every weekend. So I guess the London matches are my closest ones! So what’s next for you and the England team? There’s a summer tour coming up, but I don’t think I’ll be involved in that. (Laura) Keats is coming back from injury so hopefully she’ll be back in the squad. But for me, I’ll just keep training and as long as I’m making the most of what they’ve got to offer in terms of making me a better player, I’ll be involved again hopefully. We’ll see. Do you have dreams of playing in World Cups? Everyone’s got their dreams haven’t they. Any time I get to put that England shirt on would be incredible. So I’ll take any minutes I can get, what coaching I can get, and I’ll just crack on and do what I can in the meantime. You can only do your best really. As long as you’re not letting yourself down, what ever happens will happen. You call follow Bee on Twitter.